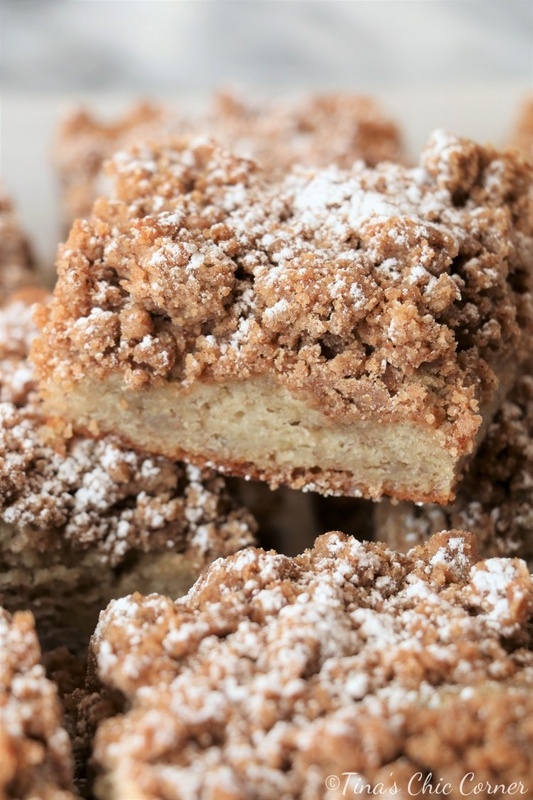 I’m on a mission to make every flavor of crumb cake possible. 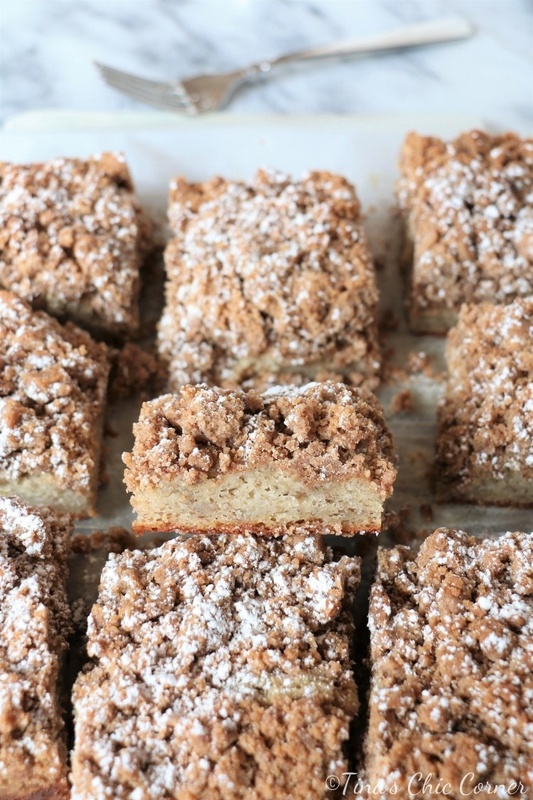 If you search “crumb cake” on my blog then you’ll see that I’ve made a few. I can’t help it. I just love crumb cakes. 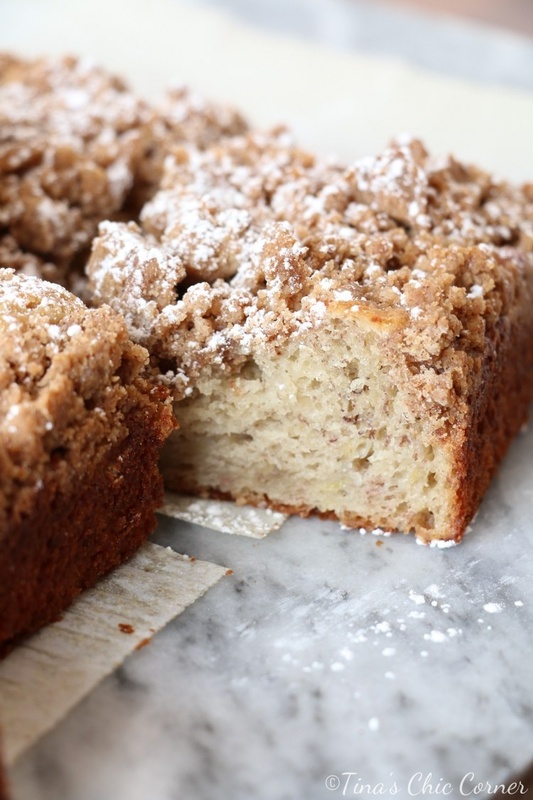 This crumb cake combines two of my favorite recipes, the cake part from the banana cake recipe and the crumb topping from the coffee crumb cake recipe. The end result is a moist banana cake topped with buttery crumb topping. Be still my heart. This combo is as wonderful as I had imagined it to be. I love it when that happens (because it’s not always the case). One of the reasons why I love crumb cakes (besides the fact that they taste freaking amazing) is that you can cover them with powdered sugar, drizzle icing on top, or leave it as is. My husband never understands why I need to add more sugar on top of sugar (aka the sugary crumb topping). It’s not a matter of need, but more a matter of deliciousness. 😉 I was super conservative with the powdered sugar on these because I want you to be able to see the gorgeous crumb texture, but you better believe I added piles of extra powdered sugar on my piece when I was done taking pictures. My precious. In a medium bowl, mix together the flour, brown sugar, cinnamon, salt, vanilla extract, and melted butter until it’s crumbly. Set it aside. In a large bowl, mix together the sugar, sour cream, egg, and butter. Mix in the mashed bananas and vanilla extract. Mix in the flour, salt, and baking soda. Sprinkle the crumb topping over the cake batter. Squish it together into lumps as you go. Your goal is a mix of small and big crumbs for variety. Then very gently press the crumb topping into the batter to eliminate air pockets so the crumbs will stick later. Bake it for about 30 minutes or until a tester inserted comes out clean. Yum, sounds so good. Tina can’t wait to try it. I am with you. I love anything with a crumb topping. 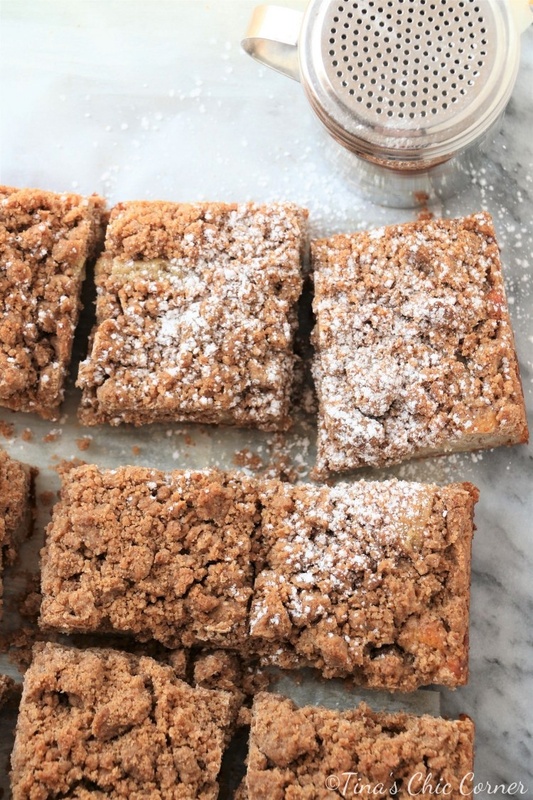 I love, love crumb cakes. This looks divine. I can’t wait to see what other flavors you come up with.